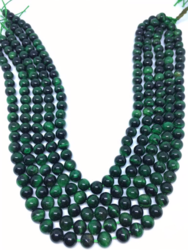 Pioneers in the industry, we offer green onyx round, citrine super quality stone beads, garnet round beads, amethyst round beads, green tiger eye round beads and blue tiger eye round beads from India. We are offering Green Onyx Round to our clients. Products Price: 5 $ per line 'Based on the dollar and may vary as per dollar fluctuation. We are offering Citrine Super Quality Stone Beads to our clients. Product Price: 9 $ per line based on the dollar and may vary as per dollar fluctuation. 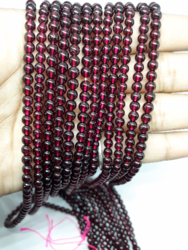 We are offering Garnet Round Beads to our clients. Products Price: 4 $ per line 'Based on the dollar and may vary as per dollar fluctuation. 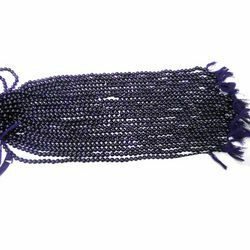 We are offering Amethyst Round Beads to our clients. Product Price: 6 $ per line based on the dollar and may vary as per dollar fluctuation. 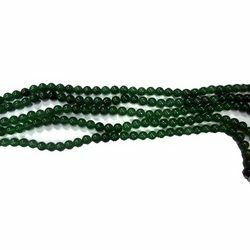 We are offering Green Tiger Eye Round Beads, 8mm, 15 Inch Long Strand to our clients. Product Price: 7.50 $ per line based on the dollar and may vary as per dollar fluctuation. 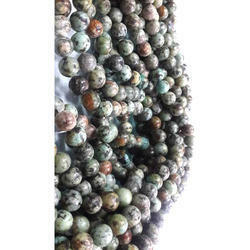 We are offering Green Tiger Eye Round Beads, 8mm, 15 Inches Strand to our clients. Product Price: 7.50 $ per line based on the dollar and may vary as per dollar fluctuation. 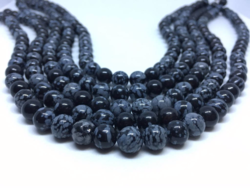 We are offering Blue Tiger Eye Round Beads, 8mm, 15 Inches Strand to our clients. Product Price: 7.50 $ per line based on the dollar and may vary as per dollar fluctuation. 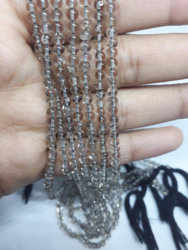 We are offering Black Rutile Round Beads, 8mm, 15 Inches Strand to our clients. Product Price: 10.00 $ per line based on the dollar and may vary as per dollar fluctuation. We are offering Red Tiger Eye Round Beads, 8mm, 14-15 Inches Strand to our clients. Product Price: 6.99 $ per line based on the dollar and may vary as per dollar fluctuation. 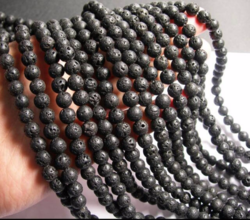 We are offering Lava Plain Round Beads, 8mm, 14-15 Inches Strand to our clients. Product Price: 3.50 $ per line based on the dollar and may vary as per dollar fluctuation. 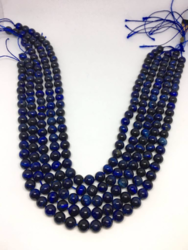 We are offering Natural Deep Blue Sapphire Necklace, Blue Sapphire, 3-5mm, 8 Line Necklace, 18-22 inches Strand, 725 Ct. to our clients. Product Price: 422.77 $ per line based on the dollar and may vary as per dollar fluctuation. 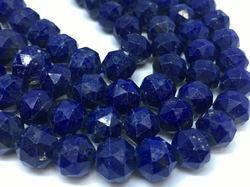 We are offering 310 Carats Lapis Rose Cut Beads, Lapis Round Faceted Beads, 16 Inches Strand, 9-11mm to our clients. Product Price: 31.50 $ per line based on the dollar and may vary as per dollar fluctuation. We are offering Turquoise Original Beads to our clients. 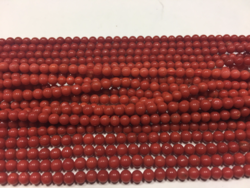 We are offering Natural Italian Red Coral Beads to our clients. Product Price: 52.09$ per line based on the dollar and may vary as per dollar fluctuation. 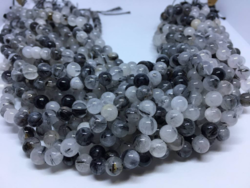 We are offering Snowflake Obsidian Round Beads, 8mm, 15 Inches Strand to our clients. Product Price: 4.50 $ per line based on the dollar and may vary as per dollar fluctuation. 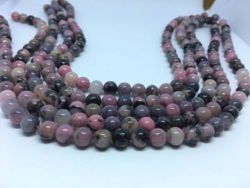 We are offering Rhodonite Round Beads, 8mm, 15 Inches Strand to our clients. Product Price: 9.99 $ per line based on the dollar and may vary as per dollar fluctuation. We are offering Sesame Jasper Round Beads, 8mm, 15 Inches Strand to our clients. Product Price: 4.00 $ per line based on the dollar and may vary as per dollar fluctuation. 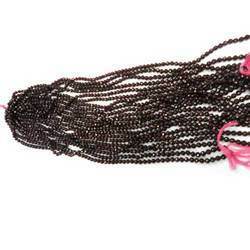 We are offering Garnet Plain Round Beads, 3mm Approx, 13 Inches Strand to our clients. Product Price: 8.49 $ per line based on the dollar and may vary as per dollar fluctuation. 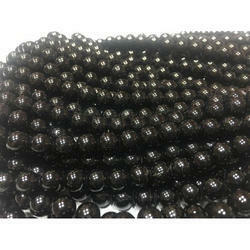 We are offering Smokey Plain Round Beads, 3mm, 13 Inches Long Strand to our clients. Product Price: 6.00 $ per line based on the dollar and may vary as per dollar fluctuation. 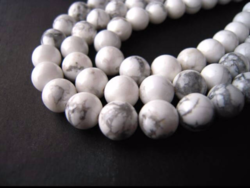 We are offering Howlite Plain Round Beads, 8mm, 15 Inches Strand to our clients. Product Price: 4.35 $ per line based on the dollar and may vary as per dollar fluctuation. 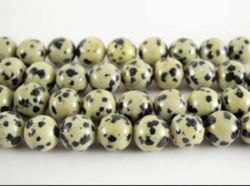 We are offering Dalmation jasper Round Beads, 8mm, 15 Inches Strand to our clients. Product Price: 4.35 $ per line based on the dollar and may vary as per dollar fluctuation. 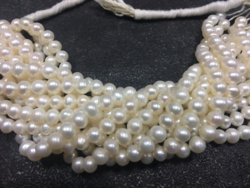 We are offering Amazing Quality Fresh Water Pearls Plain Round Shape Beads, 5mm Approx, 6 Inches Strand to our clients. Product Price: 6.80 $ per line based on the dollar and may vary as per dollar fluctuation. We are offering Full Fire Ethiopian Opal Plain Round Beads, 5-8mm, 26 Carats to our clients. Product Price: 107.00 $ per line based on the dollar and may vary as per dollar fluctuation. 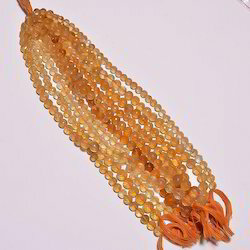 We are offering 25 Carats Full Fire Ethiopian Opal Plain Round Beads, 5-8mm, 6 inches strand to our clients. Product Price: 104.00 $ per line based on the dollar and may vary as per dollar fluctuation. 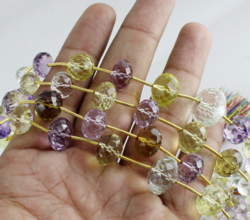 We are offering Graduated 9-14mm 11 Pieces Multi Beaded Strand (Lemon Topaz, Amethyst, Green Amethyst) to our clients. Product Price: 19.68 $ per line based on the dollar and may vary as per dollar fluctuation. 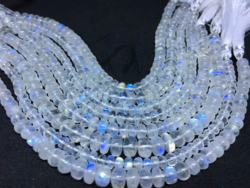 We are offering White Moonstone Faceted Beads to our clients. Product Price: 110.00 $ per line based on the dollar and may vary as per dollar fluctuation. 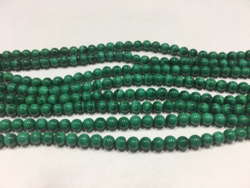 We are offering Natural Malachite Round 6mm Beads to our clients. Product Price: 12.99 $ per line based on the dollar and may vary as per dollar fluctuation. 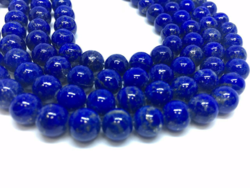 We are offering Natural Lapis round beads to our clients. Product Price: 24.00 $ per line based on the dollar and may vary as per dollar fluctuation. We are offering High Quality Golden Rutile Plain Beads , 5.30mm approx to our clients. Product Price: 39.53 $ per line based on the dollar and may vary as per dollar fluctuation. 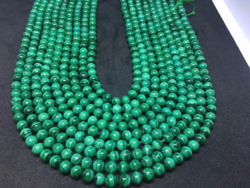 We are offering Fine quality malachite round beads to our clients. Product Price: 15.00 $ per line based on the dollar and may vary as per dollar fluctuation. 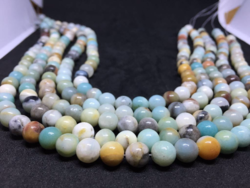 We are offering Amazonite Plain Round Beads, 8mm, 15 Inch Long Strand to our clients. Product Price: 4.50 $ per line based on the dollar and may vary as per dollar fluctuation. 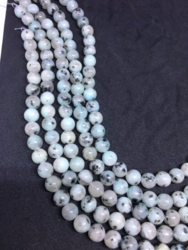 We are offering Big Size AAA Quality Ethiopian Opal Plain Smooth Round Beads, 5-7.30mm, 17 Inches Strand to our clients. Product Price: 314.99 $ per line based on the dollar and may vary as per dollar fluctuation. 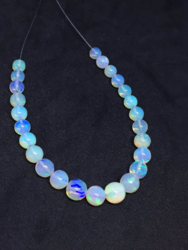 We are offering Big Size Ethiopian Opal Plain Round Beads, 5-7.30mm, 17 Inches Strand to our clients. Product Price: 304.98 $ per line based on the dollar and may vary as per dollar fluctuation. 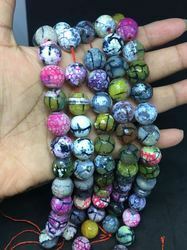 We are offering Banded Multi Agate Round Faceted Beads, 12mm, 15 Inches Long Strand to our clients. Product Price: 5.50$ per line based on the dollar and may vary as per dollar fluctuation. 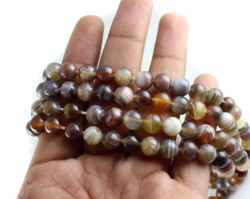 We are offering Natural Botswana Agate Beads, 8mm, 15 Inches Strand, Botswana Agate to our clients. Product Price: 11.99 $ per line based on the dollar and may vary as per dollar fluctuation. 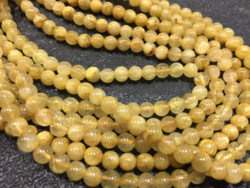 Full Fire Ethiopian Opal Plain Round Beads, 5-8mm, 26 Carats Products Price: 107.00 $ per line 'Based on the dollar and may vary as per dollar fluctuation. 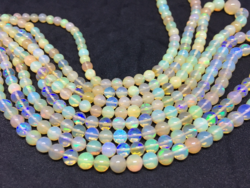 25 Carats Full Fire Ethiopian Opal Plain round Beads, 5-8mm, 6 inches strand Products Price: 104 $ per line 'Based on the dollar and may vary as per dollar fluctuation. Sale High quality White Rainbow Plain Rondelle Beads, 5-6mm, 8 Inches Strand Products Price: 19.99 $ per line 'Based on the dollar and may vary as per dollar fluctuation. 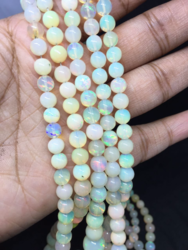 Free Shipping Big Size AAA Quality Ethiopian Opal Plain Smooth Round Beads, 5-7.30mm, 17 Inches Strand Products Price: 314.99 $ per line 'Based on the dollar and may vary as per dollar fluctuation. We are offering Black Concave Cut to our clients.